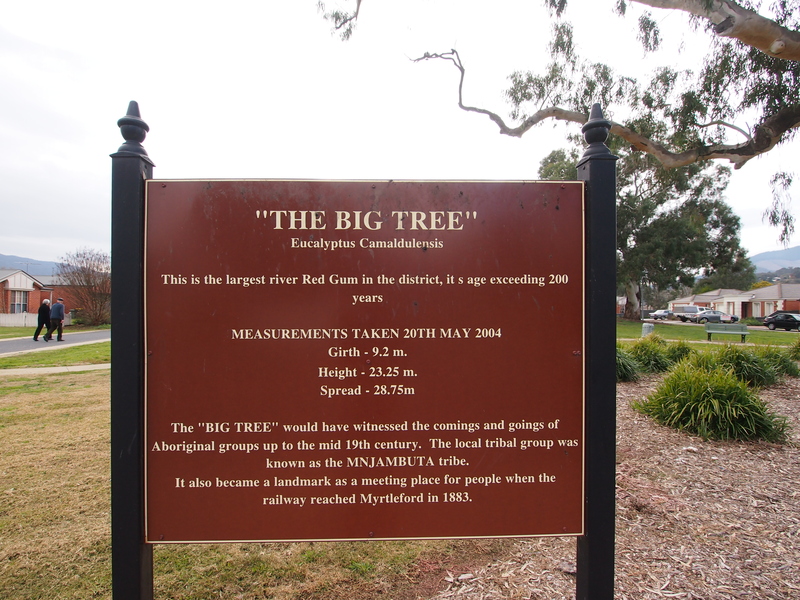 We followed a sign on the road through Myrtleford indicating a ‘big tree’ for my first official tree tourism since starting this blog. This tree has been around a while. Seen some things. 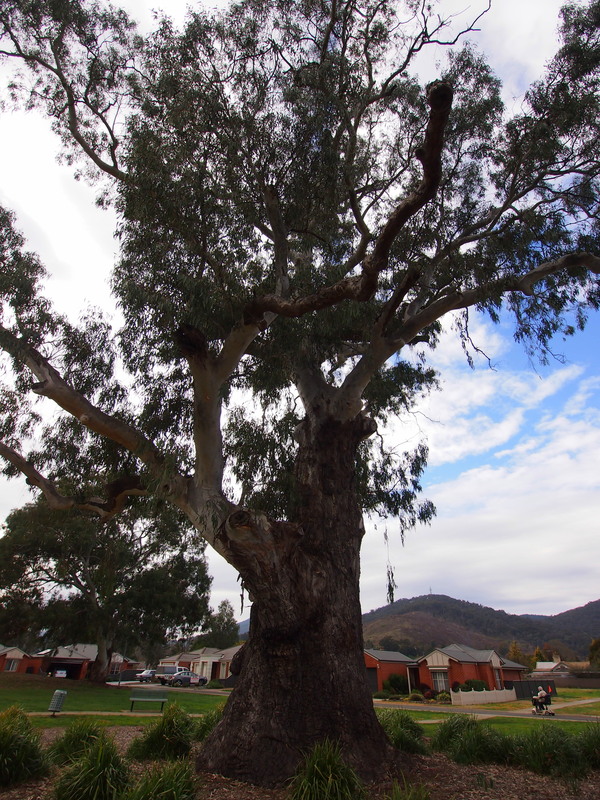 Its other tree friends and aboriginal friends have long moved on, or been moved on. 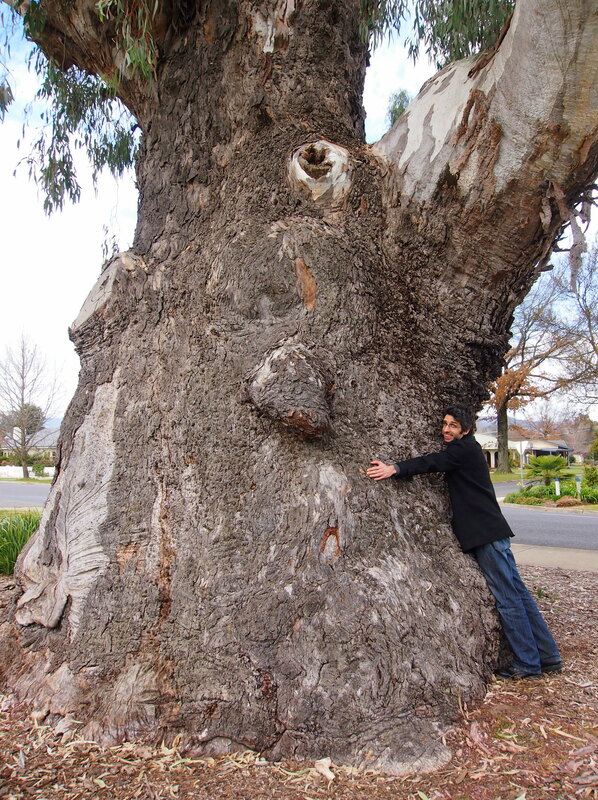 It does indeed have a massive girth.